13 day Thailand tour with Phuket beach break including return flights, accommodation, daily breakfast, transportation, professional guides and more. 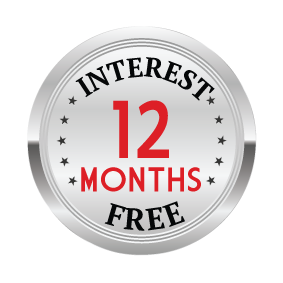 per person twin share |	Typically $3,999! 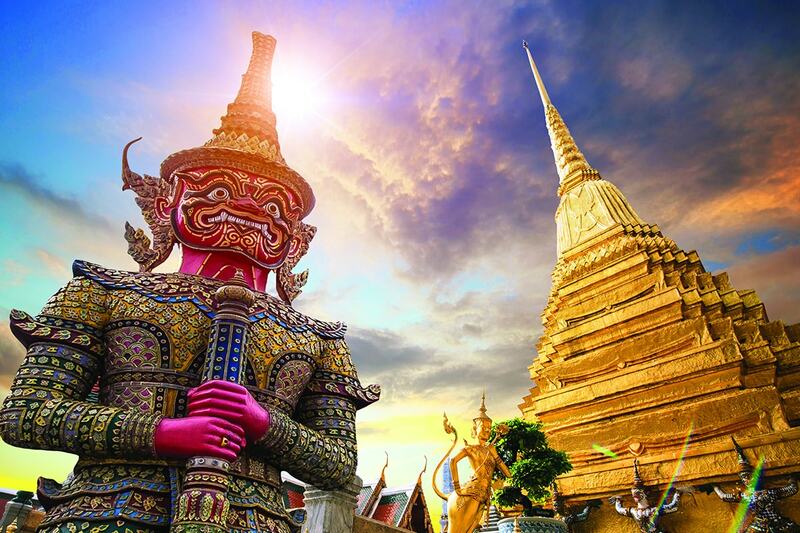 Encapsulating history, culture and exotic beauty, Thailand provides a sensory overload you can’t help but fall in love with. 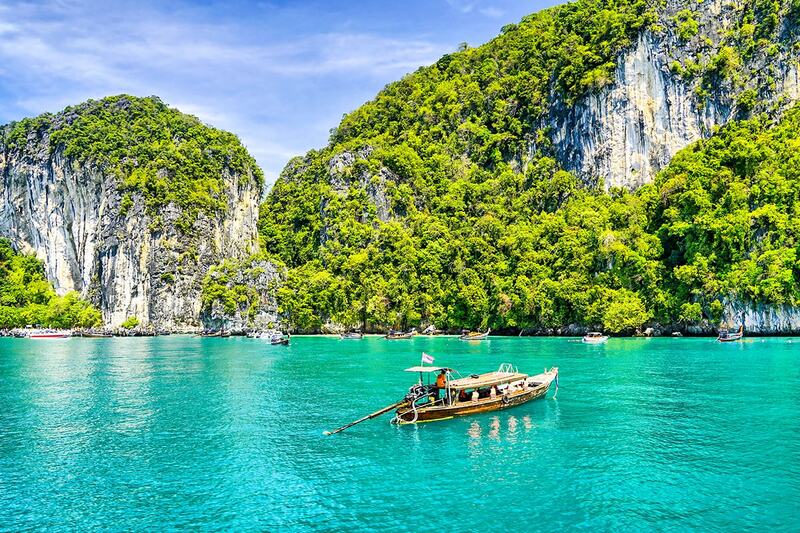 Full of sacred space and temples, tropical beaches, verdant jungles and spectacular ancient ruins, Thailand will take you on a journey you’ll never forget. 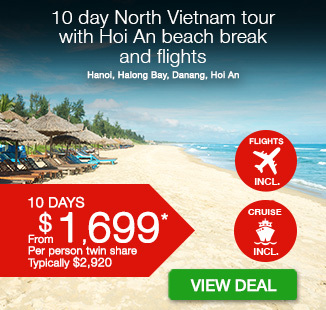 Experience the best of both worlds with this 13 day Siam Gems Tour and Beach Break getaway. 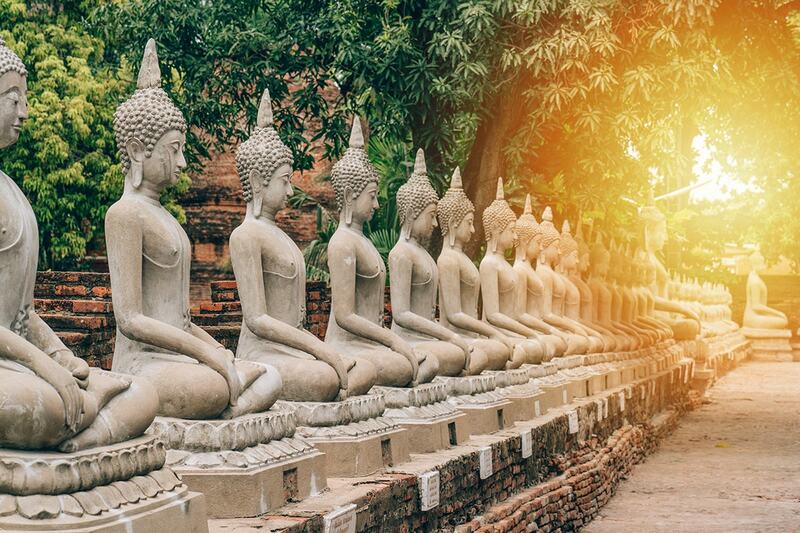 Discover buzzing Bangkok, see the haunting ruins of Ayutthaya, visit the Thai Elephant Conservation Centre and wander the ‘Rose of the North,’ beautiful Chiang Mai. 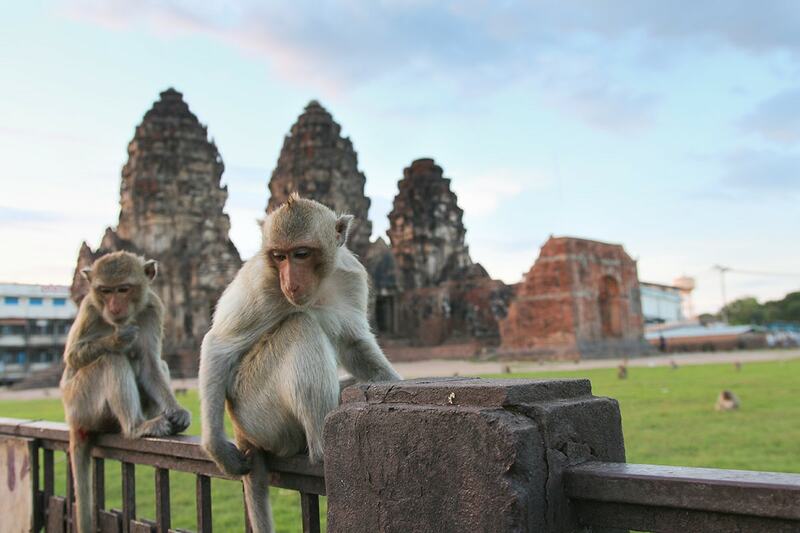 Discover the Sukhothai Historical Park, which covers the ruins of the first capital of Siam, see macaques in the historic city of Lopburi and shop up a storm in the Siam Square and Pratunam before heading to Phuket to relax on the white sand beaches before your journey home. Your package includes return international flights, accommodation, daily breakfast, transportation, professional guides and more. Today depart Australia for Thailand! On arrival you will pick you up at airport then transferred to the hotel. The rest of day is at leisure to relax after your flight. Please note: Some flights arrive in the evening on day 1 or depart 1 day early depending on schedule. Full day at leisure to discover Bangkok on your own or to take one of the many optional excursions available on the spot. We suggest a half day tour of The Royal Grand Palace, a great architectural masterpiece of several buildings from the outside and a magical inside was used as a royal residence from the 18th century to the mid- 20th century. 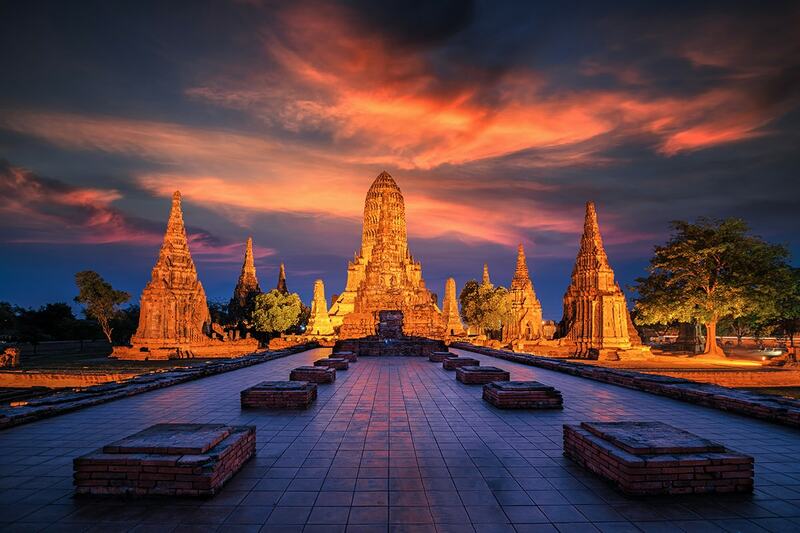 It is without any doubt a national reference and possibly the most visited royal monument of Thailand, and it shouldn’t be missed. 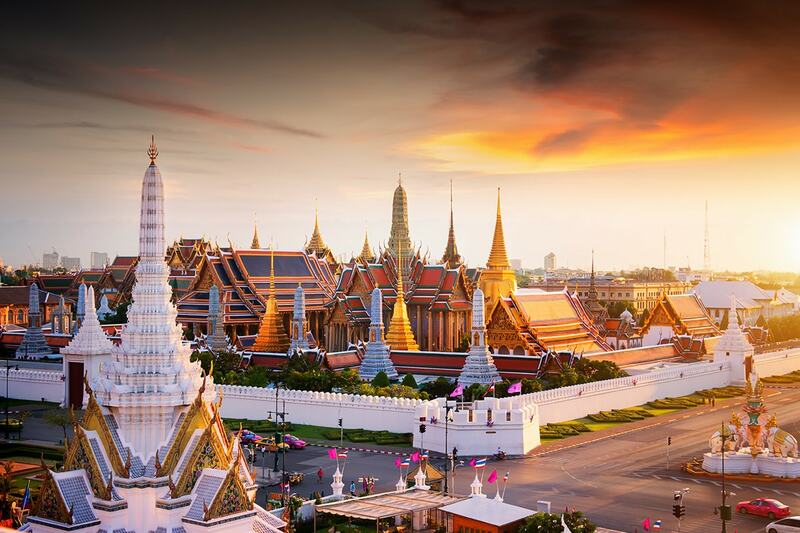 The building houses the “Wat Phra Kaew”, Bangkok’s most sacred temple, in which is located the famous Emerald Buddha. The rest of the afternoon is free to explore or shop at your own pace. Today we head to the former capital of Ayutthaya and contemplate ruins of this oncevast island city which was mostly destroyed by an invading army 250 years ago. 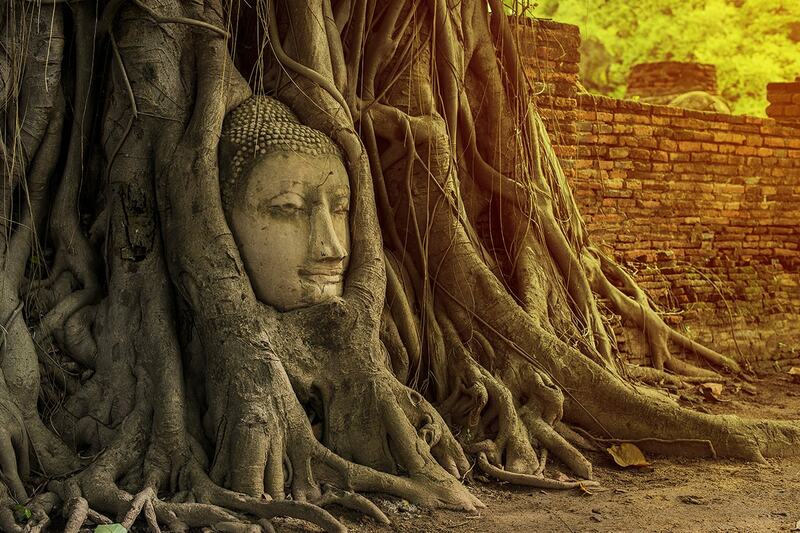 Today, the haunting ruins hint at its former glories as can be seen in temples such as Wat Yai Chaimongkhon, Wat Phanan Choeng and Wat Mahathat – where the roots of trees have devoured the head of a Buddha. Hop aboard a traditional longtail boat and enjoy a scenic cruise around the island, observing the city’s ruins from a different perspective. After lunch in a local restaurant, continue to Kamphaeng Phet for checkin at the hotel. The rest of the afternoon is at leisure. Take to the road after breakfast at the hotel, heading towards Lampang. 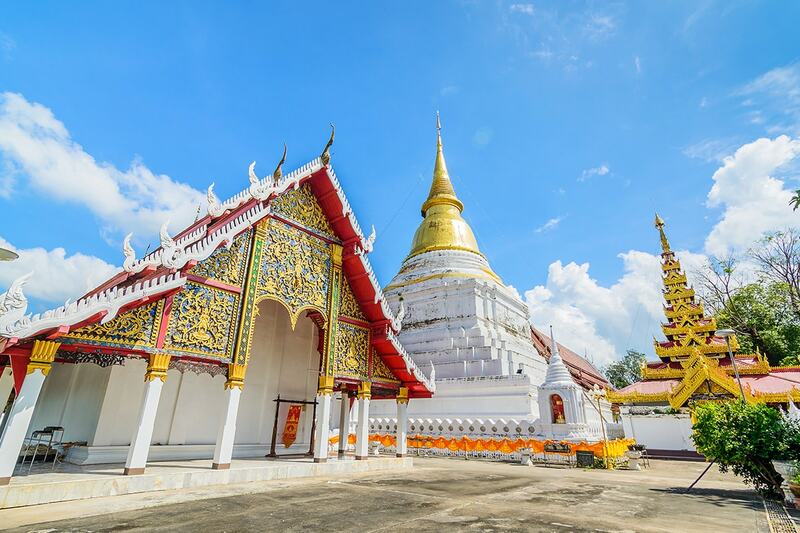 On arrival, visit Wat Phra That Lampang Luang. This large Lanna-style temple is prominently located on a hill surrounded by walls. Climb the naga staircase and explore the complex, which boasts seven buildings and a sacred tree. Admire the bronze Buddha statue in the ordination hall and the relic of Buddha in the golden chedi. 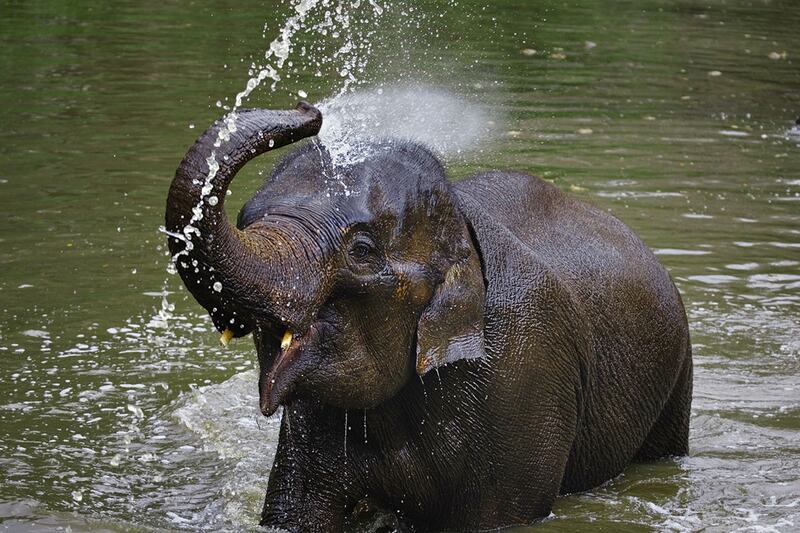 Continue to the Thai Elephant Conservation Centre, which offers shelter and care to more than 50 Asian elephants in a natural rainforest habitat. The centre’s prize attraction, however, are the six elephants from the king of Thailand’s Royal Stables. Enjoy lunch in a local restaurant before continuing to Chiang Mai, popularly known as the ‘Rose of the North’. Check-in on arrival with the rest of the day at leisure. Maybe explore the city at your own pace or enjoy a relaxing Thai massage (not included). 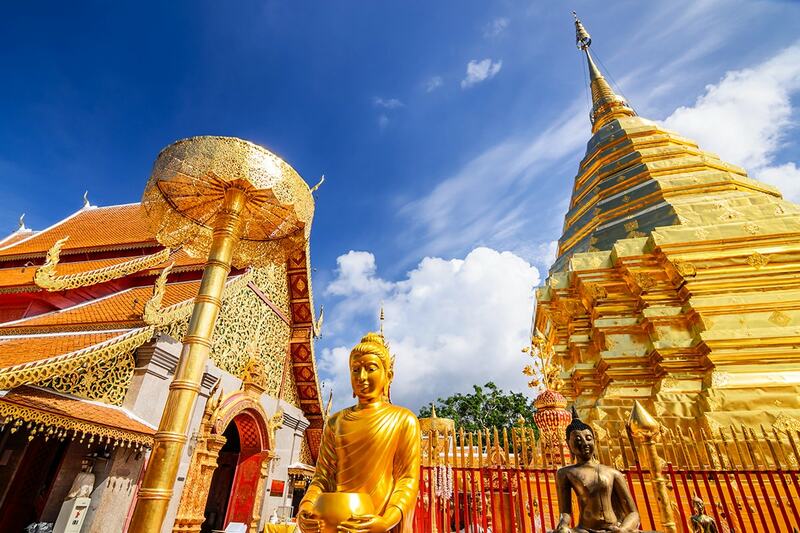 After breakfast in the hotel, visit Wat Phra That Doi Suthep, one of the most revered temples in the country. This sacred location is at the top of a mountain from where you can appreciate stunning panoramic views over the city. To reach the temple requires a climb up a 309-step naga staircase. Alternatively, you can use the cable car (included) to reach the temple. This spiritual sojourn is followed by a visit to the shopper’s heaven that is the famous San Kamphaeng Road, a 10km-long stretch of road flanked by shops selling locally produced goods such as pottery, silverware, lacquerware, handmade saa paper, sculptures, jewellery, wood carvings and silk products. In some shops, you can even watch the artisans at work. Keep an eye out for the celadon pottery and the silver goods, which are both usually of excellent quality. After local lunch in a local restaurant, return to the hotel with the afternoon free at leisure. Bid farewell to Chiang Mai after breakfast at the hotel, heading to Lamphun, which is home to one of the north’s most important temples, the one-thousand-year-old Wat Phra That Hariphunchai. Visit the temple and admire the Buddha statues and impressive stupas, which include a 46-metre-tall Lanna-style golden chedi and 21-metre-tall Haripunchai-style chedi. 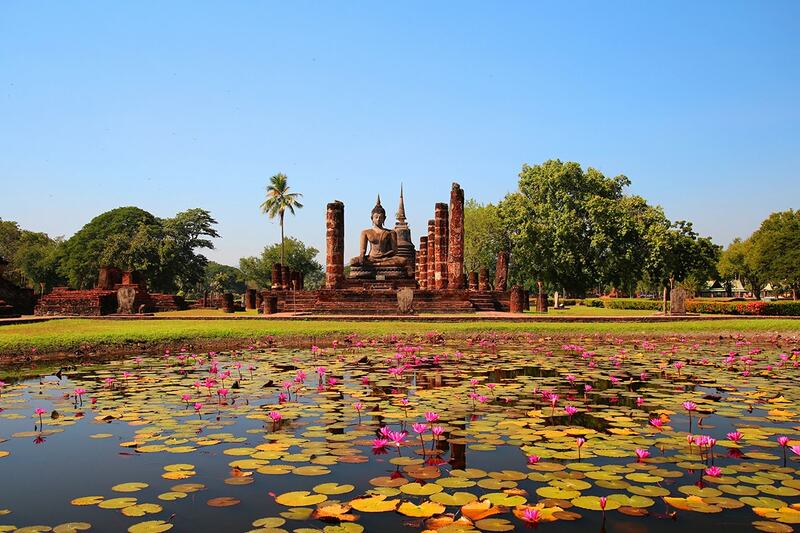 Take to the road again and head south to Sukhothai Historical Park, which covers the ruins of the first capital of Siam. Founded in the 13th century. 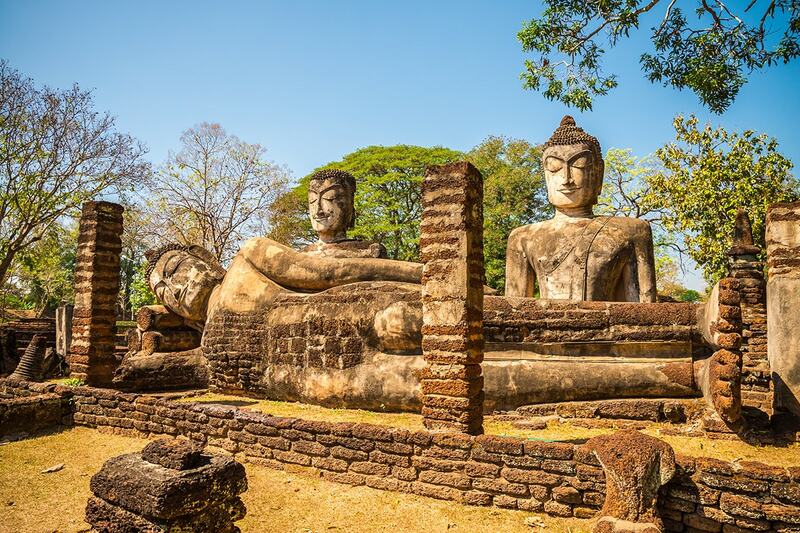 Sukhothai means ‘Dawn of Happiness’ and it proved to herald the beginning of a golden age for Thai culture under the rule of King Ramkhamhaeng the Great, who is credited with creating the Thai alphabet. The historical park has the ruins of almost 200 buildings, including dozens of temples. The complex, which is a UNESCO World Heritage Site, is divided between the ruins within the walls and moat and those outside them. Depart Sukhothai after breakfast at the hotel, heading for Lopburi. This historic city is famed for the troops of macaques that roam the streets as if it were the jungle. Visit the ruins of the ancient Khmer temple of Phra Prang Sam Yot and the adjacent Brahman shrine of San Phra Kan, which is known as the ‘Monkey Temple’. Lunch is in a local restaurant en route before continuing on to Bangkok. Full day at leisure to discover Bangkok on your own or to take one of the many optional excursions available on the spot. For those who want to go shopping this day would naturally include Bangkok’s main shopping districts of Siam Square and Pratunam where bargains are available everywhere. Optional Tour: Kanchanaburi & the River Kwai—Join us for an optional full day tour to the beautiful province of Kanchanaburi where you will take a trip back in history at the River Kwai and its famous bridge. You will visit the war cemetery and a reconstructed POW camp that now houses a museum. After that, experience what will probably be the most spectacular part of the tour: the train ride across the bridge and along part of the original “Death Railway”. Here you will enjoy the views of the river and take in the spectacular scenery. The train slows down at the most impressive viewpoints en route to ensure you will be able to take some stunning photos. 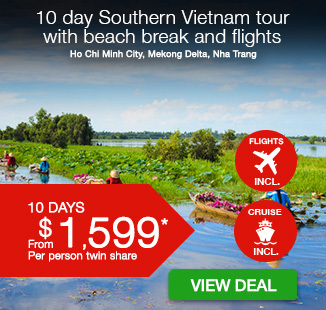 Depart from Bangkok at approximately 6am, duration of the tour approximately 9 hours. Today you’ll be transferred to the airport for your flight to Phuket where you will have the opportunity to swim and relax surrounded by coconut palms and white sandy beaches. On arrival you’ll be met and transferred to your hotel where the afternoon is at leisure. Today is free to do as little or as much as you like. 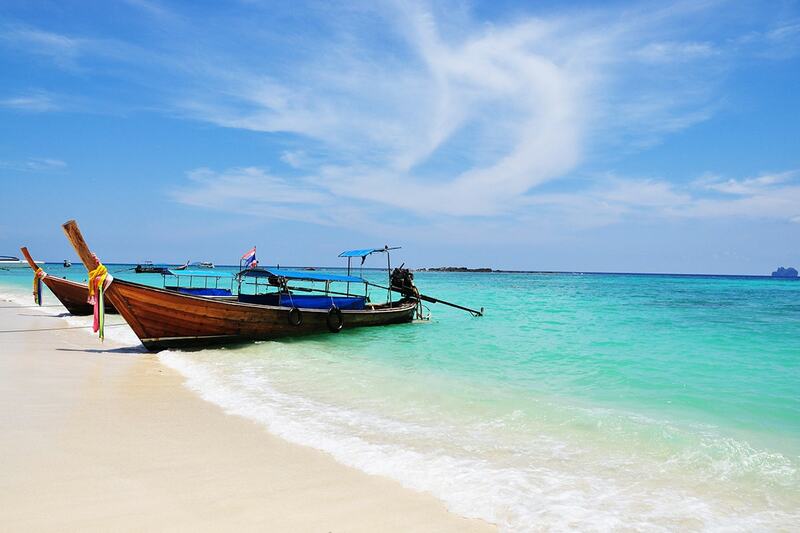 Either relax in your resort, lounge on the beach or explore Phuket. This morning is free to do as little or as much as you like. Either relax in your resort, lounge on the beach or explore Phuket. Later, you will be transferred to the airport for your onward flight home.